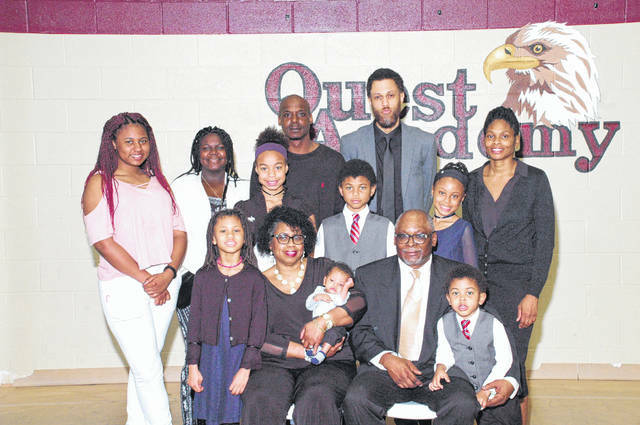 LIMA — Mr. and Mrs. Anthony Guice are celebrating 40 years of marriage with a road trip, visiting out-of-town family, and a family dinner with in-town family. Guice and the former Sharon Jones were married Nov. 25, 1978, at the home of Sharon’s sister, Lula and James Estelle, by Rev. J.E. Latson Sr. The couple has two children, LeShane Guice, of Lima, and a daughter, TaTrice (Jelani Jabari) Guice, of Atlanta, 11 grandchildren and one great-grandchild. Guice retired from AEP. His wife retired from Allen County Job and Family Services.